Our principal investigator is Professor Karen Gleason, Department of Chemical Engineering and Associate Provost of MIT. The Gleason Lab studies the chemical vapor deposition of polymeric thin films, and their applications in sensors, biotechnology, microelectronics/ organic electronics, microfluidics, MEMS, composites, and membranes. 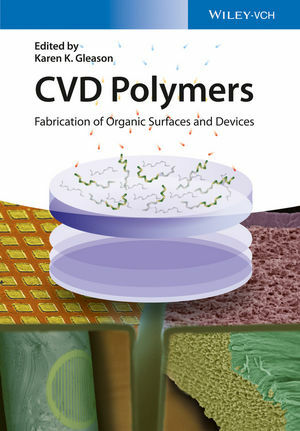 We are currently studying functional polymers, conducting polymers, dielectric polymers, hydrogels, and composite organic/inorganic structures deposited using initiated chemical vapor deposition (iCVD) and/or oxidative chemical vapor deposition (oCVD).